Your location, how you place your order and the size of your order effect the shipping cost of your order and estimated shipping time and will impact whether or not your order incurs any additional fees, such as local government import duties. Are you placing an order through our online store? Most Edison robot orders placed through the Edison online store are shipped for free to most countries listed in the checkout. Your shipping costs will be calculated at checkout. Please view your cart for full details on shipping fees and options. Please select your country at checkout to check if your order is eligible for free shipping. Are you placing a purchase order? If you are a qualifying school, you can place a purchase order. Most qualifying school purchase orders are shipped for free. If your order incurs any shipping costs, these costs will be listed as a line item on your invoice. Depending on your local government, your order may incur additional fees, such as import duties, VAT/GST, and customs processing fees. As these taxes and the thresholds for taxation are different for each country, we are unable to provide estimates as to what your taxes may be. For more information please consult your local customs department. Please note that any additional fees and/or duties will be payable by the customer. Orders of 9 or fewer Edison robots or EdCreate kits ship via Hong Kong Post (USA orders are shipped by USPS from our USA warehouse). 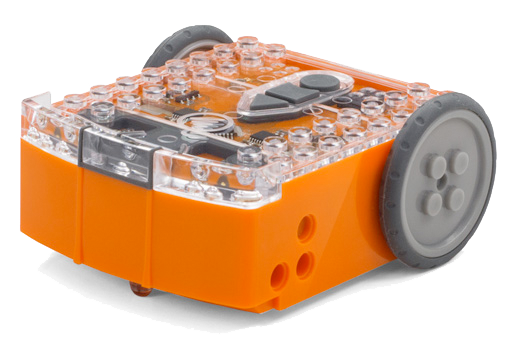 Orders of 10 or more Edison robots or EdCreate kits ship from Hong Kong via DHL Express (USA orders are shipped by USPS Priority Mail from our USA warehouse). Please select your region from the options below to see detailed estimated shipping times to your location. Please note: Depending on your local government, import duties, VAT/GST, and customs processing fees may apply. As these taxes and the thresholds for taxation are different for each country, we are unable to provide estimates as to what your taxes may be. For more information please consult your local customs department. If your order incurs customs processing fees and/or additional delivery costs, you will be invoiced for those charges by the courier or applicable agency. Any such charges are excluded from the cost of your order and are not controlled by Microbric. Should you refuse to pay these costs, your order will be returned to our warehouse or destroyed. Even if you refuse to pay these costs and choose to have the goods returned or destroyed, you will still be responsible for the full repayment of all costs incurred. These costs may include the cost of goods, customs fees and return shipping charges. Depending on your local government, import duties, VAT/GST, and customs processing fees may apply. As these taxes and the thresholds for taxation are different for each country, we are unable to provide estimates as to what your taxes may be. For more information please consult your local customs department. *Over recent months there have been significant delays for customers located within Canada receiving their packages due to local customs. Please allow up to 6 weeks for delivery within Canada. The times listed are estimates and shipping may not be available to all countries/regions. The estimated times may not be met due to delays in local customs and postal services. Any additional fees and/or duties will be payable by the customer. No reimbursement shall be issued by Microbric for these charges. Even if you refuse to pay these costs and choose to have the goods returned or destroyed, you will still be responsible for the full repayment of all costs incurred. These costs may include cost of goods, customs fees and return shipping charges. Orders sent by Hong Kong Post are generally non-trackable. You will receive a tracking number in your shipping confirmation, which will only track your order until it leaves Hong Kong. Orders sent by USPS in the USA are trackable. Please see the link and tracking number in your shipping confirmation to track your order. All orders sent via DHL or USPS Priority Mail are globally trackable. Please see the link and tracking number in your shipping confirmation to track your order.